Day details to follow at a later date. 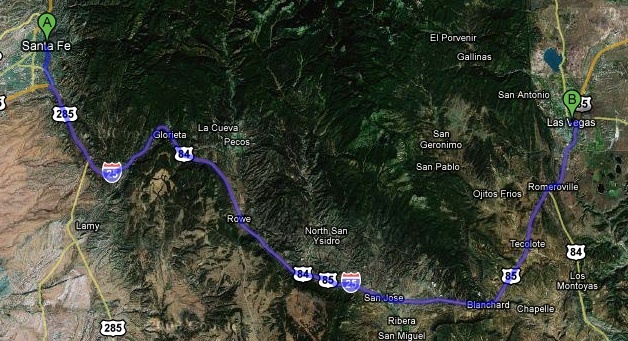 Tomorrow: 109 desert miles to Tucumcari, NM. Intimidating. 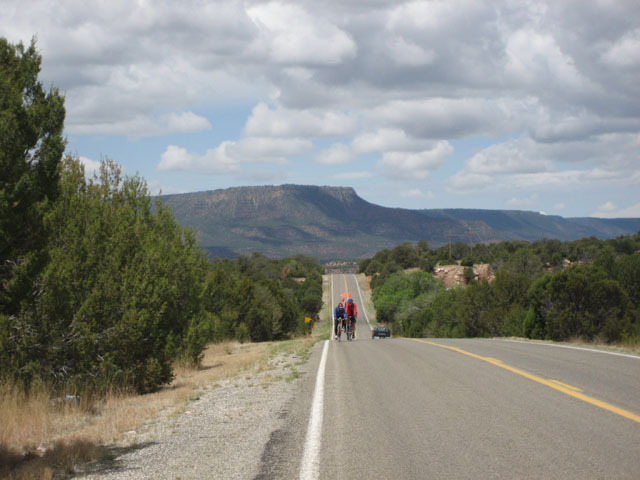 We rode through the Pecos mountains today. Beautiful. Harry on my left. to his bike. And he is one on the sane riders. What a wonderful rider, fast, considerate, consistent, aware. He is from Liverpool. 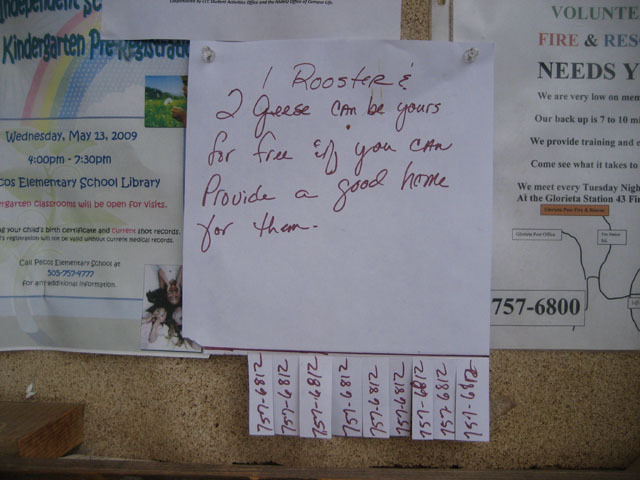 Anyone out there that can provide a good home for a rooster and 2 geese? 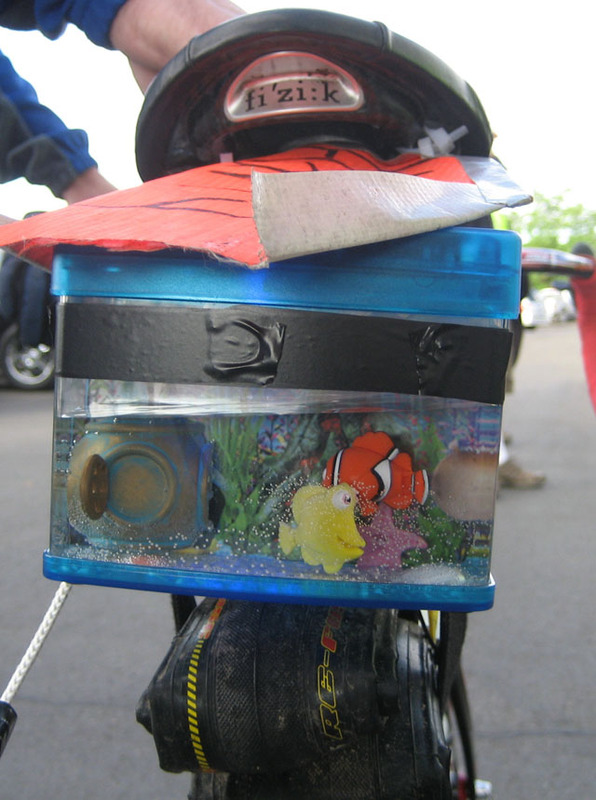 You could outdo Harry's aquarium by adding the rooster and geese to the back of your bike. Think about it. Al-just a reminder from the fashion police---it is now okay to wear white shoes till labor day! Greetings from Crystal Lake. The jelly rolls continue to be a work of art; the breezes are cool; the excuses not to exercise plentiful. Hang tough in the desert. Your going to be in such great shape you'll be ready for DALMAC. The 5 Day Bridge route ends in DeTour. p.s.-- sorry no spell ck.!! leave it to the brits to put things in prosective! last time I looked Lance was in 14th place at the Giro. Kurt says lost vages ia a neat town-he was there- look for kurt was here signs!